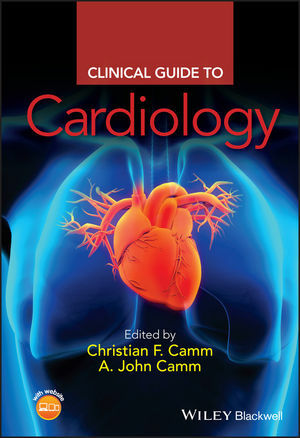 Clinical Guide to Cardiology is a quick-reference resource, packed full of bullet points, diagrams, tables and algorithms for the key concepts and facts for important presentations and conditions within cardiology. It provides practical, evidence-based information on interventions, investigations, and the management of clinical cardiology. Christian Camm is a graduate from both the University of Cambridge and University of Oxford. Having successfully completed his examination for Membership of the Royal College of Physicians, he currently works as an Academic Clinical Fellow in Cardiology at the John Radcliffe Hospital in Oxford. Professor Camm graduated from Guy's Hospital, London and went on to pursue his career in cardiology at St Bartholomew's Hospital and then St George's Hospital, London where he is currently Chairman of the Department of Cardiovascular Sciences and the Division of Cardiological Sciences. He is also Convenor of Medicine, University of London, Trustee of the International Society of Pacing and Electrophysiology and President of the Arrhythmia Alliance. Professor Camm is recognised at internationally for his excellent research and teaching, his particular interests being cardiac electrophysiology, cardiac arrhythmias and implantable devices for rhythm control.